As homes have become much bigger over the last decade, more individuals have more room in their homes to maneuver and decorate the way that they wish. Bathrooms in the home are no longer tiny areas that have a toilet, sink, cabinetry, and a bath tub-shower combinations squeezed into them. Today, many bathrooms are spacious, open areas geared both towards regular business and relaxation. One of the newest trends in bathroom design is separating the shower and the bath tub so that they are located in different areas of the bathroom. This allows both the shower and the bath tub to be larger and more specific to the needs of the individuals in the home, whether they need more space to maneuver, additional support, or they just really like the idea of having a beautiful shower in one corner of the bathroom and a large soaking tub in the other corner. 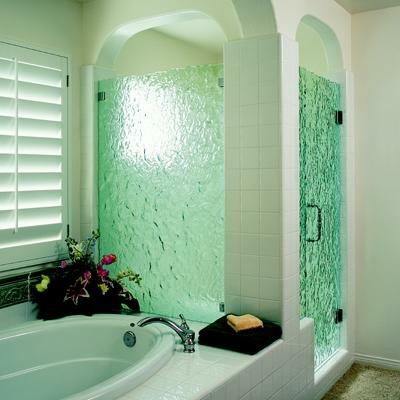 The placement of the separate shower and bath tub will depend on the size and layout of the bathroom being remodeled. Having a separate shower in the bathroom opens up many design options that the homeowner may not have thought of. Different types of bath tubs that generally do not work well with a shower, such as whirlpool tubs or larger claw foot bath tubs, can be installed in the bathroom without the homeowner having to worry about incorporating the shower so that it works properly with the bath tub. Separating the shower also provides a wealth of options for the shower design, such as whether to use glass, tile, or stone for the design and the ultimate shape and size of the shower area. Many homeowners choose to hire a professional contractor to remodel their bathroom and install the plumbing that will allow the homeowner to have a separate shower and bath tub in their bathroom. Hiring a contractor to complete the project may be expensive, but chances are that the work will be completed much more quickly and more accurately than if the homeowner attempted the remodeling project on their own. Another benefit to hiring a contractor is that if anything goes wrong with anything that the contractor was responsible for, they will often return to correct the issue with a minimum of hassle. If the homeowner chooses to do the project on their own as a do-it-yourself project, there are several things to keep in mind. Planning is paramount to an undertaking like this and every aspect of the installation must be planned to the tiniest detail to reduce the risk of the project going awry. Remodeling the bathroom of the home as a do-it-yourself project can be labor intensive and take a good amount of time, but the project will be much less expensive than hiring a contractor to do it instead.